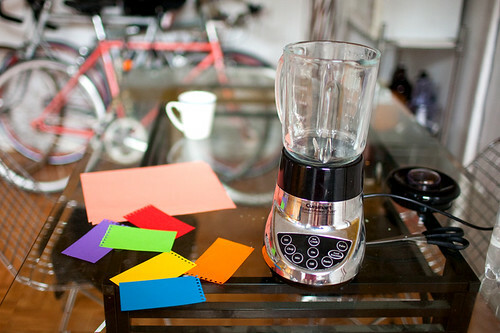 What you'll need: a fun friend, paper, a blender, and a martini glass. 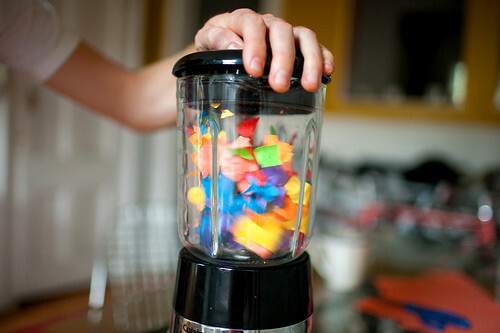 Put your paper in the blender and set to chop. Thank you for sharing your beautiful colors! Your site is wonderful. You're so full of energy, life and color! 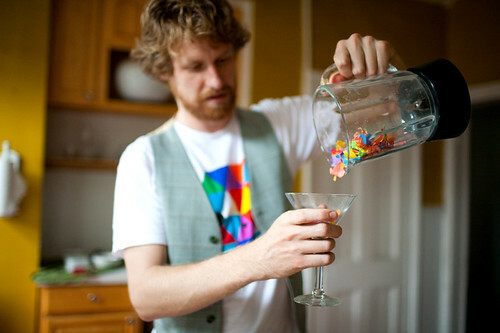 You should dip the rim in sprinkles too! FUN - what a great celebration! this is such a creative idea! 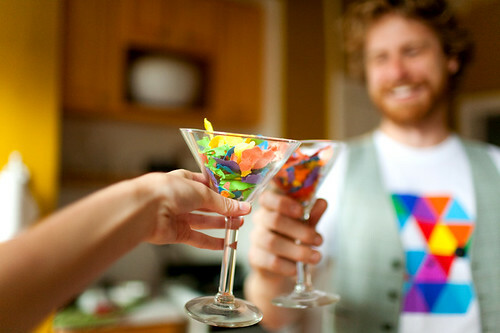 paper martinis would be cute decorations for a party! 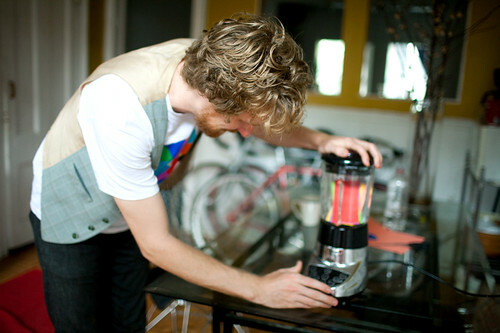 Absolutely lovely and funny and just great :) you always have such simple AND amazing ideas, i love your blog ! and you really have an adorable cam! LOVE this idea. Your photography is endlessly bright and inspiring. i might very well drag my best friend into doing this with me!! 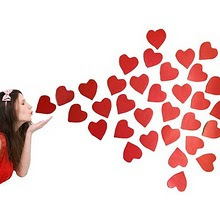 I would just like to let you know how pleased I am that you've been posting more frequently. It's been truly lovely to have more sparks of delight in one's day. Thanks. Take care. I love this! Such a fun and clever idea! 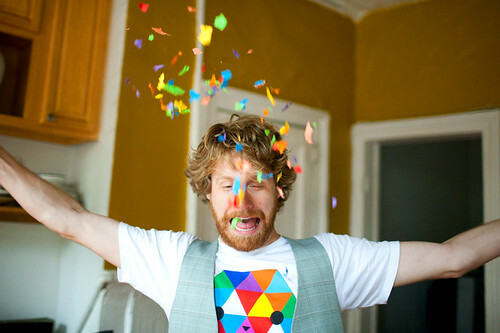 Getting a confetti buzz seems like such a fun way to party! Haha, this is too cute. 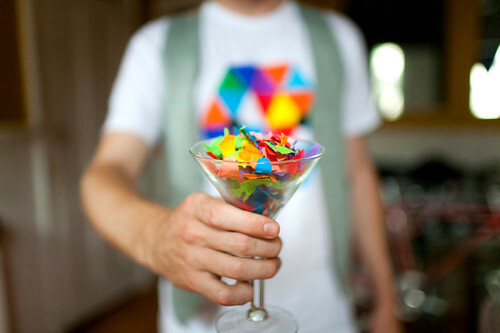 A confetti martini party would be awesome. i can't believe that works! so much funnn!!! ahhh! so much fun!!! your blog makes me smile so hard. Soooo fun!! I must do that soon! You have the most amazing imagination! I wish I lived near you because I'd love to play with you!!! In the morning, I am dead tired, woke up 2 to 4 times (I just refuse to say 5 even if it happens) to feed my baby and I drag myself in front of the computer to take my breakfast (no one wants to eat with me in the morning anymore: I am too "sensitive" - nice way to say agressive) and I have to say, the little time I send on your blog puts a smile on my face and in my heart. So thank you, dear Katie, for your joyful silliness and your loving and fun vision of life, this is just what I need!! I love that your friend's shirt matches the whole thing! Hahaha love this. My neigbor used to say he would get wasted on coca cola. (He didn't quite understand what the necessary ingredients were :) ) It made me laugh. my husband accidentally did this last year! he was shredding tissue paper for me for a work project and the shredder broke. so he popped it into the blender ... and i came home to several vases and wine glasses full of tissue! it was so cute! The best way to start or end your day ! Amazing photography and ideas. Keep posting! Hi Katie, I really love your blog. You have such a particular way to see life and make me remember that everything is not so serious after all. i found your blog via 'tifsong'. your photography is lovely! happy to be a new follower. hilarious! you always make me smile :) Can't believe how spontaneously crazy you are. katie you are so fun and creative. love this idea! love this! 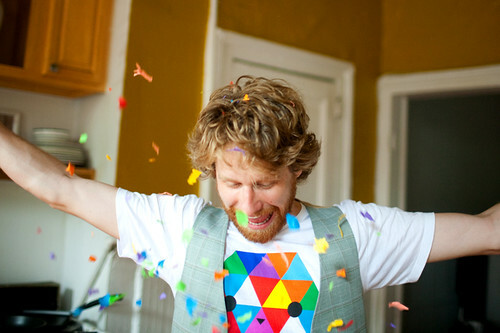 this is why you were featured on our blog today. colorful and fun-ness! I love your mini documentary about your interactive street art. I feel the same way... don't grow up completely.. I will always be a kid at heart. I am falling in love with this! I too love paper art!! You are more of an inspiration!!! I wish I knew more people like you around here. That is so creative! Your posts always make me so happy! Ahaha! cute, what a lovely thing to cheer anyone up! Katie I love your projects, there always so cool!